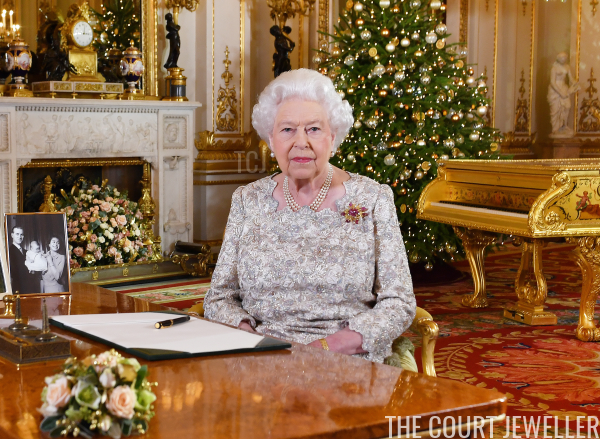 A still photograph of Queen Elizabeth II from this year's Christmas Speech has been released, and it gives us a sneak peek at her jewelry choice for the annual broadcast. 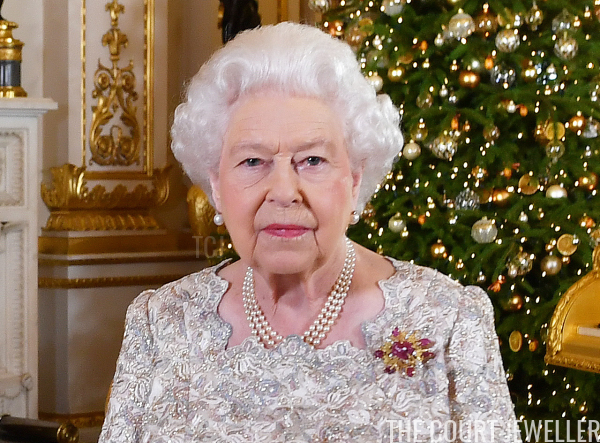 For this year's broadcast, the Queen will wear the Grima Ruby Brooch, which was made by Andrew Grima and given to the Queen by the Duke of Edinburgh in 1966. (Read our article on the brooch here!) The press information circulated by journalists with the photograph reveals a little more about the brooch. Rebecca English tweeted, "It is known as the Scarab brooch, designed by Andrew Grima, and is crafted of yellow gold with a carved ruby and diamond embellishments." This year's speech was recorded in the White Drawing Room at Buckingham Palace. 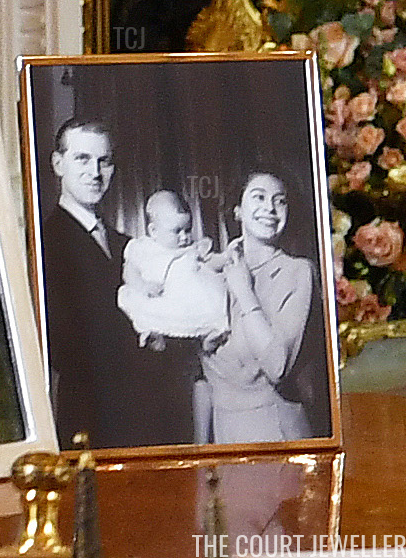 Eagle-eyed royal watchers often also look for the detailed photographs placed nearby during royal speeches like these, and this year's broadcast photograph includes a reference to the Prince of Wales, who celebrated his 70th birthday this November. This portrait of the Queen, the Duke of Edinburgh, and the Prince of Wales was taken by Baron in 1948.